Tickets cost £6, or £4 for members of The Beaney, and can be bought here: http://www.canterbury.co.uk/museums/thedms.aspx?dms=72&shop=23&prod=8482. This is a special event ticket. Additionally, Joe, together with Dr Luke Lavan, Dr Ellen Swift, and other PhD Students, is taking part in a ‘Hands-on Heritage’ event about Roman shopping at the Canterbury Roman Museum on Saturday 24 January from 1-4pm. 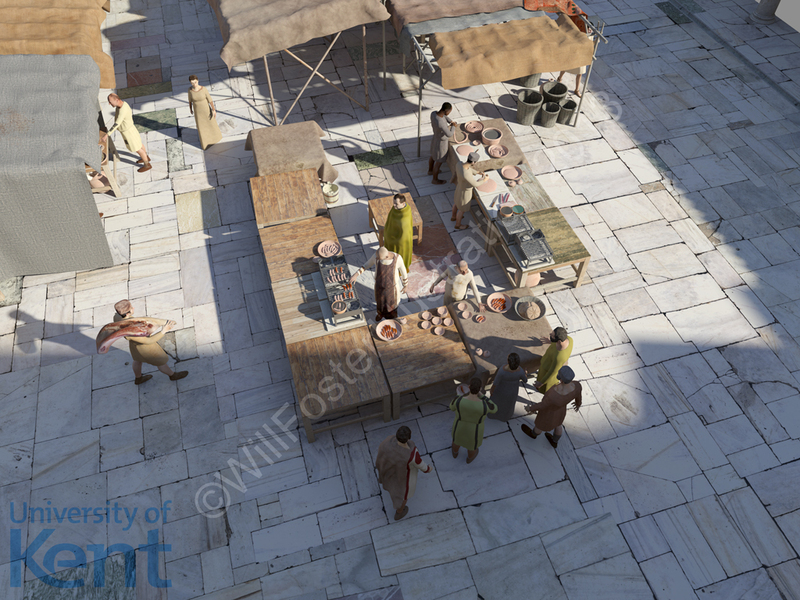 This fun re-enactment day will give families the opportunity to meet a Roman sausage-seller, spice-merchant, basket-maker and a repairer of worn out clothes, as they experience the hustle and bustle of the Roman marketplace. Tickets cost £8 for adults, £6 concessions (+2 children free, £1.50 for additional children), and are available here: http://www.canterbury.co.uk/museums/thedms.aspx?dms=72&shop=23&prod=3826. This is a standard museum entry ticket. These events have been supported by the Arts and Humanities Research Council, through the ‘Communicating Ancient Greece and Rome’ public engagement programme of the APGRD: http://www.apgrd.ox.ac.uk/.